What goes better with fireworks and picnics on the Fourth of July? Sanibel Island of course! Here’s what’s happening on and around the island this Fourth of July weekend. The 25th annual Sanibel Island Independence Day Parade is adorned with a red, white and blue tribute. Celebrate the birth of our nation with an old-fashioned parade! This year’s theme is “preserving the Red, White and Blue.” Parade participants go all out decking their cars and floats in red, white and blue, tossing candy and trinkets to the crowd-lined Periwinkle Way. The parade starts at 9:30 a.m. at the corner of Tarpon Bay Road and travels down Periwinkle Way to Casa Ybel Road. Breakfast Tip: The Sanibel Community Church is hosting its Free Fourth of July Pancake Breakfast 7 a.m. to 9 a.m. before the parade starts. For more information on the parade, call (239) 246-2981. What’s more exciting than seeing fireworks explode into the sky from your spot on a boat? That’s what’s in store for you with the Fourth of July Fireworks Cruise on Sanibel Island. Adventures in Paradise is offering three boat cruises on the San Carlos Bay that offer a spectacular sunset and a dolphin searching adventure before the night sky is lit up with fireworks. The cruise departs at 7:30 p.m. July 4 and returns at 9:30 p.m. after the fireworks are over. Tickets are $59 per person and reservations are required. The cruise offers complimentary bottled water, soft drinks and snacks. Guests can also bring their own beverages. Tickets can be purchased by calling (239) 472-8443 or purchasing them online here. Plan your Fourth of July weekend on Sanibel Island. 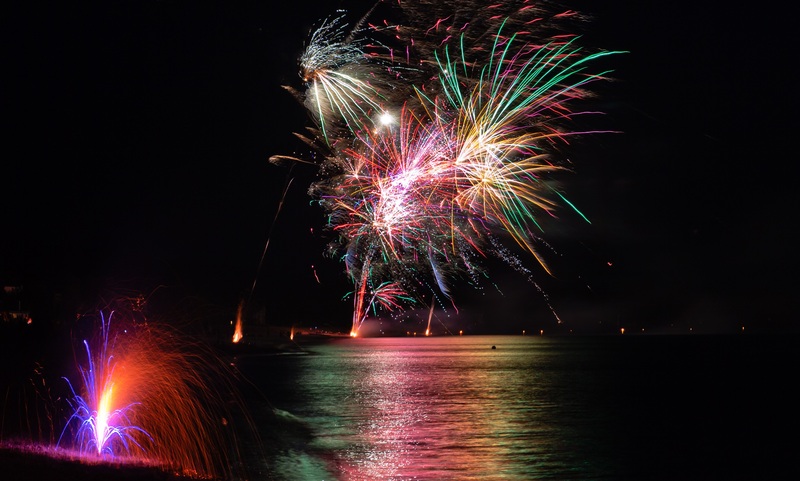 The city of Sanibel is sponsoring this year’s Sanibel Independence Day Fireworks Celebration, which will be launched rain or shine at 9 p.m. July 4 from the north end of Bailey Road. Fireworks Viewing Tip: The best views of the city’s fireworks display is from the Sanibel Causeway Islands and the bayside of Sanibel Island. Now that you have your Fourth of July event calendar planned to celebrate the 240th birthday of the United States, it’s time to rent a boat or book a fishing charter at Port Sanibel Marina. Looking for a place to stay for the Fourth of July weekend? Book a fully furnished condo at Royal Shell Vacation Rentals. Call us at (239) 437-1660 to plan your Fourth of July trip today!